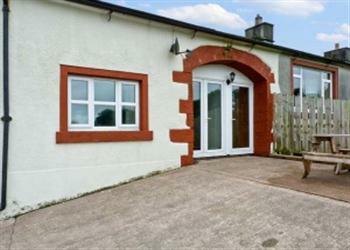 Number 40 was available with Cottages 4 You. You may have reached this page because you were looking for Number 40. Unfortunately for us, we no longer feature this cottage. However all is not lost, there are several holiday cottages around this area. 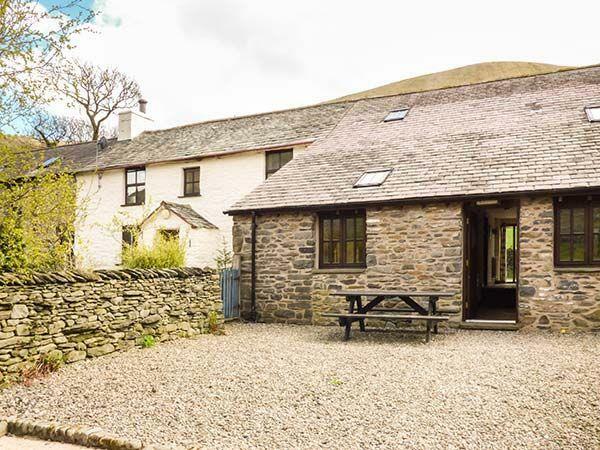 If you're looking for a cottage holiday in Cumbria, have a look the holiday cottages listed below, all these properties are within 25 miles of Number 40, and sleep at least 7 people. Or have a little look at the lodges which are in this area too. 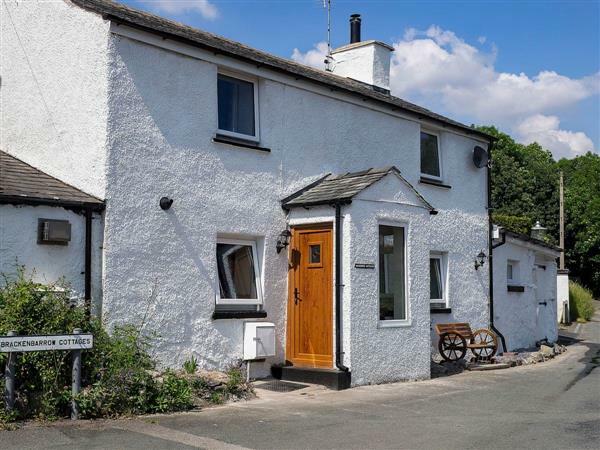 Number 40 had a hot tub when this cottage was featured by us, if you're looking for a hot tub on your next cottage holiday, have a look at all the cottages with a hot tub in Northern England. Number 40 is pet friendly - this means that you are allowed to take your dog on holiday, which is handy if you've got a pet. 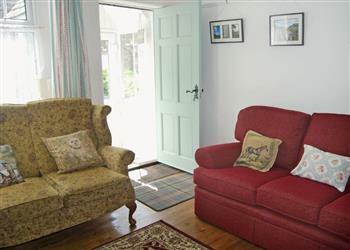 The holiday cottages below are also pet friendly too. 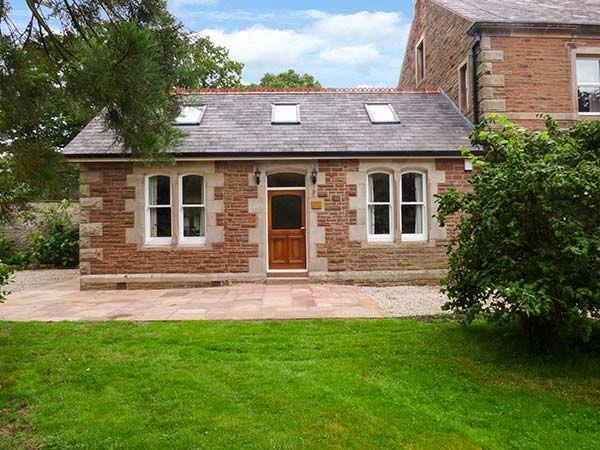 Number 40 in Penrith, Cumbria sleeps 7 people. Number 40 in Penrith is a stunning semi-detached family home in the heart of Penrith. As soon as you open the front door, you are welcomed by the look and feel of a contemporary boutique style residence. The owners have lovingly furnished each room to offer good levels of comfort, but with a stylish twist of 21st century opulence. 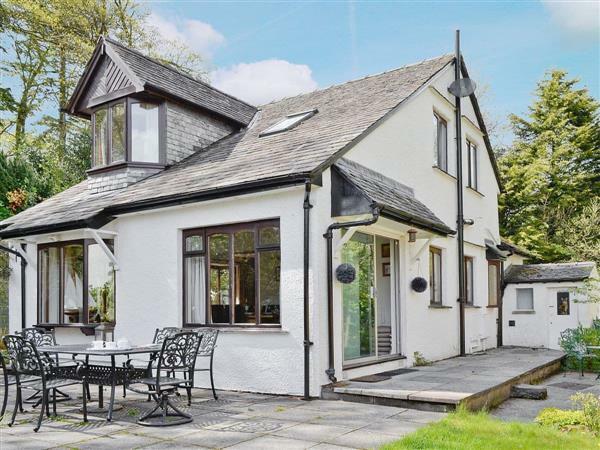 The property features a large living room with a range of easy seating, and a conservatory which doubles up as a dining room. The kitchen, with its mood lighting and contemporary feel, has been thoughtfully finished and is very well equipped with a dishwasher and booth style dining table. 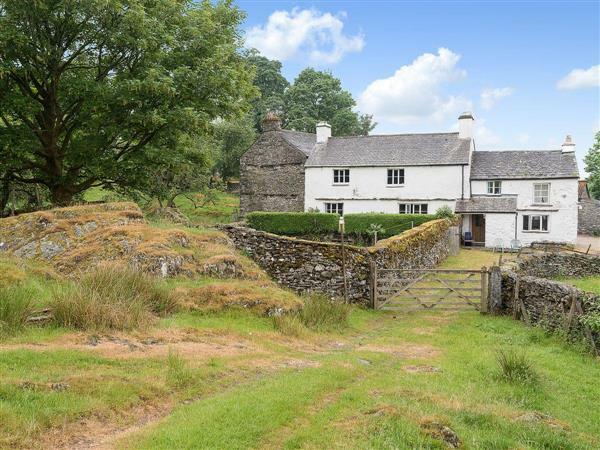 This property can comfortably sleep up to seven guests in four bedrooms which makes it a great choice for a large family get together, or it’s perfect for a couples retreat too. The split level master bedroom offers a king-size bed, large flatscreen TV and a luxurious en-suite ‘drencher shower’ as well as a separate dressing area. The main bathroom is also split level, with a large bath on the first level, a vanity sink and toilet on the second level, and a step down to the drenched wet room with feature lighting and a quality ‘drencher shower’ on the third level. If that’s not enough, wait until you see the outside space, it’s a real sun trap and perfect for an afternoon soaking up the sun. You can take a dip in the hot tub or relax on the undercover outdoor seating area complete with patio heater. It features a breakfast bar so you can open the kitchen windows and create your very own bar to serve your cold drinks. It really is a fantastic place for a get together, perfect for socialising and spending quality time with your family and friends. 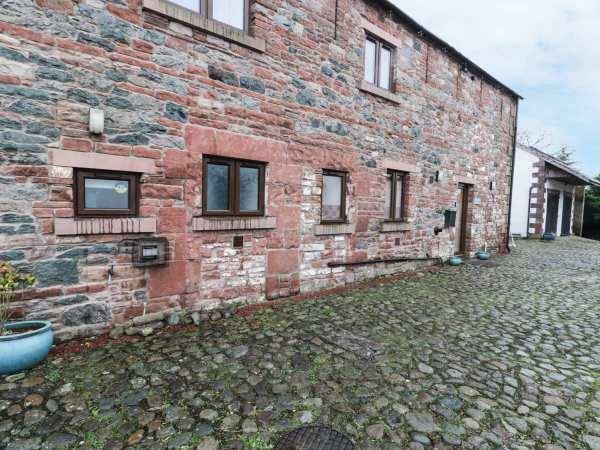 As if all of that isn’t enough, you’ve also got private parking and a spacious garage/utility room which is suitable for storing bikes and acts as a great transition room for taking off your muddy boots and wiping doggy’s little paws. This house has everything, so much so, you may not want to leave! But when you do you’ll soon realise there’s a whole world of adventure on your doorstep. 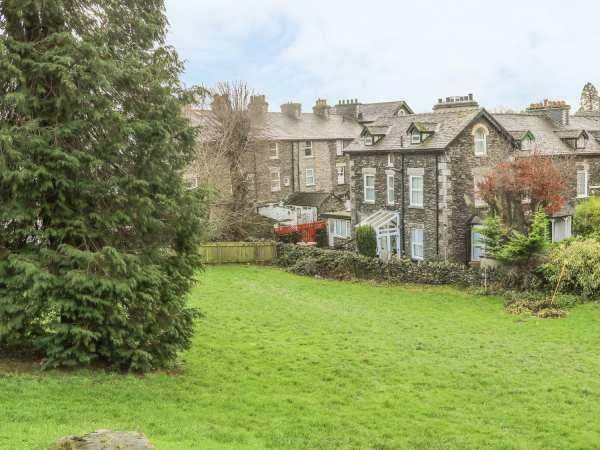 Situated in the heart of Penrith, you are just a 5-minute walk into the town centre, 800 yards. Penrith has an abundance of pubs serving great food and local cask ales, and all types of eateries from bistros and fine dining to sandwich bars and fast food. The main high street of Penrith has a really good range of shops including the usual brands but also includes many independent shops and stores for a great shopping experience. If you need to stock up on supplies, the supermarket is just 350 yards away and you can reach the train station in just 10 minutes, ½ mile. Penrith is located on the eastern border of The Lake District National Park. If you like outdoor adventure you’ll love the scenery, walking and cycling routes, lakes and mountains nearby. Ullswater, with its famous steamers, offers a great day out and the starting point at Pooley Bridge is just 5½ miles away. If you’ve got younger children, then why not check out the Rheged Discovery Centre with children’s activities, outdoor play area and cinema, 1¾ miles. If you like a bit of heritage and culture then a visit to Lowther Castle and Gardens is a must at just 4½ miles away. There is a shop ¼ mile from Number 40 in Penrith, with the pub and restaurant ½ mile from Number 40. Living room: With 47 Freeview Smart TV and DVD player. Dining room/conservatory: With patio doors leading to garden. Kitchen: With breakfast area, electric oven, gas hob, microwave, fridge/freezer, dishwasher and wooden floor. Bedroom 1: With dressing area and 3 steps to king-size bed, Freeview TV and en-suite with walk-in shower, toilet and heated towel rail. Bathroom: With bath, 2 steps to toilet, 1 step to wet room with shower and heated towel rail. Gas central heating, gas, electricity, bed linen, towels and Wi-Fi included. Travel cot available on request. Enclosed garden with artificial grass, covered terrace and garden furniture. Hot tub for 6 (private). Bike store. Private parking for 3 cars; additional on road parking. No smoking. Holidays at Number 40 run from Monday to Monday. Pets allowed at Number 40.